While most think that LED Driving Lights are only catering for the 4x4 community out there, you might be suprised to find that this bracket breaks down that wall. As most everyday road users don't won't the obscure LED bar across the roof and prefer something a little more sleek and clean. Will fit almost all factory front bumpers sizing just a little wider than your license plate to maintain the factory feel to your vehicle. 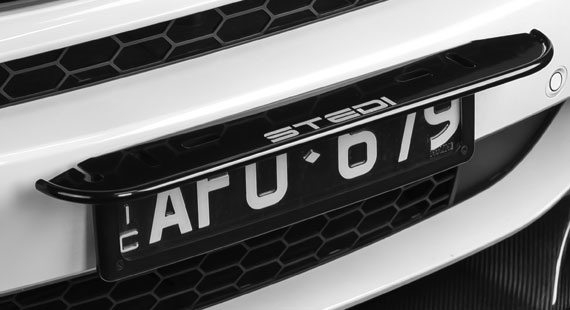 The STEDI Number Plate bracket runs no shortage of compatibility to LED Light Bars & Driving Lights through our range. 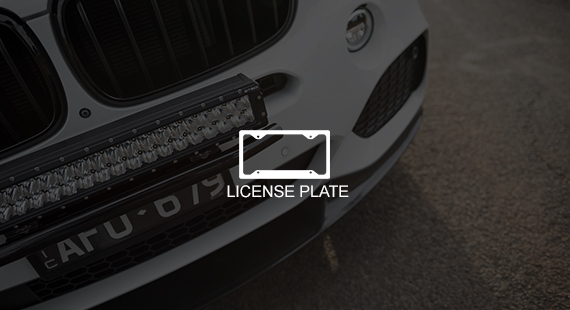 We have listed the 3 most popular LED Light Bars that customers opt for when purchasing the Number Plate Bracket. These are available through the drop down menu near the add to cart. 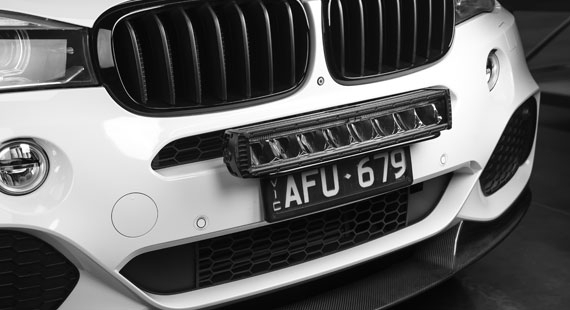 The STEDI Hardened Steel Number Plate light mounting brackets bolt through your existing number plate holes, for effortlessly mounting driving lights or and LED Light Bar. Finished in a durable satin black UV stabilised powder coat, along with contoured tube section, makes for an aesthetically pleasing addition to any passenger vehicle. Great solution if you need to install Spot Light or a LED Light Bar but do not have a nudge bar or bull bar to mount to. Universal fitment, with no modification required. Fits most lights with adjustable bottom slide brackets. Also has provision to mount UHF antenna. Satin Black Number Plate Light Mounting Bracket.